Conflicts often seem intractable because many think a conflict ends when the yelling stops or parties come to a settlement. And then it starts up again, or the same parties begin fighting over a new issue when the most immediate one is settled. 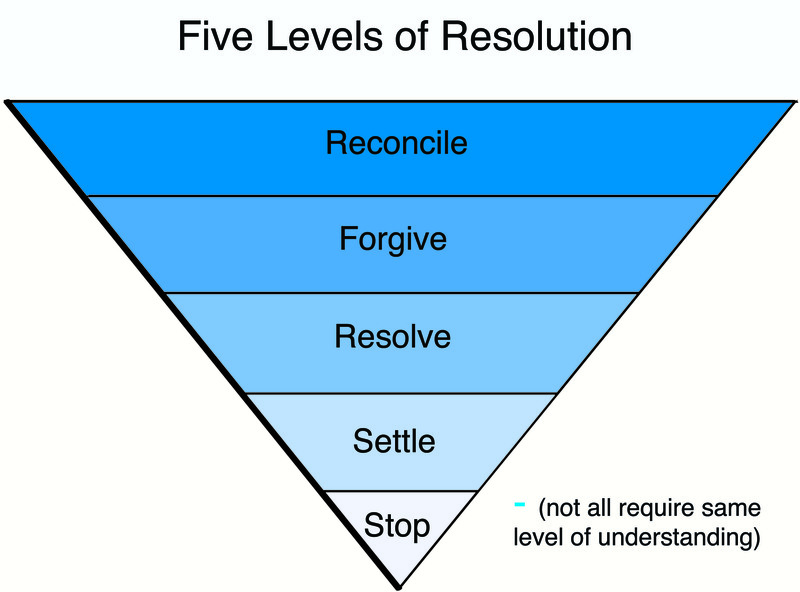 Stopping and settling arguments are the two lowest levels of resolution. Both often fail to address emotional issues, and issues that affect an individual’s sense of identity or place in the world. In fact, if you “stop” a dispute by declaring a winner and a loser, or “settle” the dispute by apportioning interests, these deeper roots of that dispute can spread like crabgrass. You need to aim higher – by resolving or reconciling underlying concerns – if you hope to move through conflict and help the parties find new ways of working together. At The Communications Center, Inc we offer a number of services that can help you work through conflicts. Find out more at http://www.buildingdialogue.com.